Imperial International has grown to stock over 10,000 items in both billiard table and accessories as well as parts for our coin and vending division. Pool Table 911 is a leader in the New Jersey & Parts of PA, NY plus DE to connecting consumers to their inventory at the most reasonable costs. 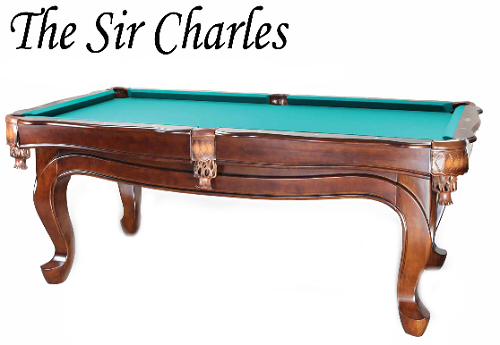 The Sir Charles IMPERIAL International is a fine table most well liked by corporate executives as well as a perfect addition to any man room. Contact PAT at Pool Table 911 to get the best bottom dollar on a new table today. Do you have a Sir Charles by Imperial you would like to sell? If you are within our service area we may be able to make a fair market offer on the table. Use our contact form or call us to get more information.